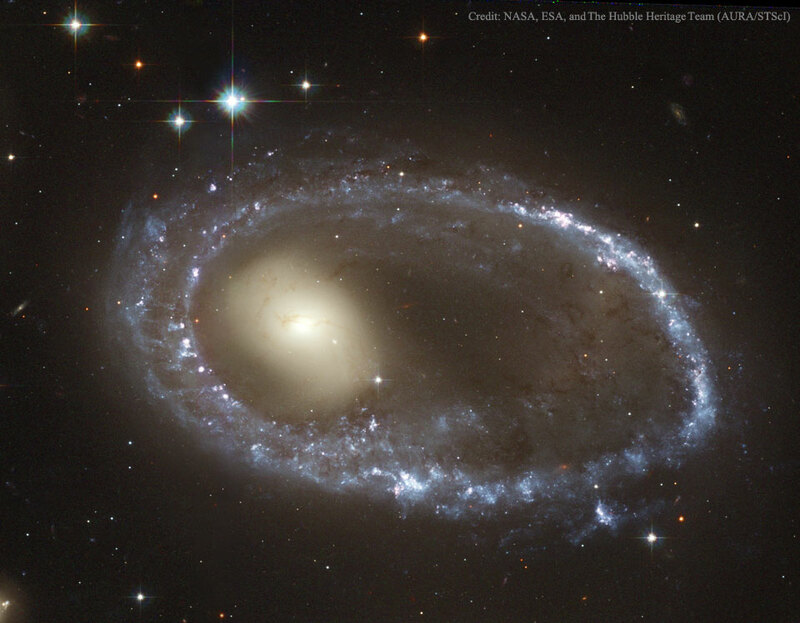 Explanation: How could a galaxy become shaped like a ring? The rim of the blue galaxy pictured on the right is an immense ring-like structure 150,000 light years in diameter composed of newly formed, extremely bright, massive stars. 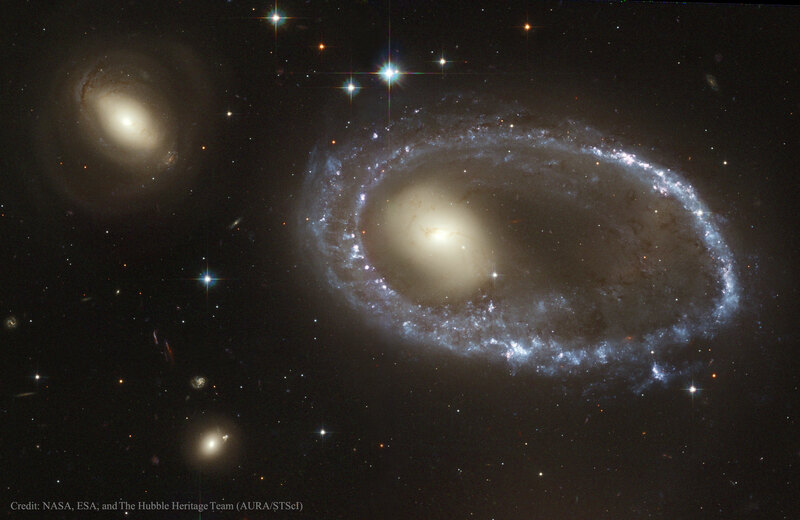 That galaxy, AM 0644-741, is known as a ring galaxy and was caused by an immense galaxy collision. When galaxies collide, they pass through each other -- their individual stars rarely come into contact. The ring-like shape is the result of the gravitational disruption caused by an entire small intruder galaxy passing through a large one. When this happens, interstellar gas and dust become condensed, causing a wave of star formation to move out from the impact point like a ripple across the surface of a pond. The intruder galaxy is just outside of the frame taken by the Hubble Space Telescope. This featured image was taken to commemorate the anniversary of Hubble's launch in 1990. Ring galaxy AM 0644-741 lies about 300 million light years away.